Our Field Service & Repair division is ready to handle any steam plant challenge, any time, anywhere. At EARTHMECH FZC we employ highly specialized steam plant experts who are skilled in all aspects of boiler service including boiler delivery and installation, removal and disposal, code repairs, process piping, structural plant installations, and refractory installation and repair. Boiler repair is one of the primary specialties of Industrial Boiler & Thermic fluid heaters. 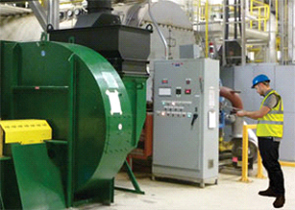 Our workshop and field staff have adequate service and experience, and can meet the needs and requirements of the most complex boiler systems. Easy access to critical parts allows our boiler repair field crews to swiftly remedy issues from minor refractory repairs to emergency generator tube bank replacements.